May 30, 2013 - Why Choose Lexington Park? This Couple Shares Their Story! Couple David and Michelle found their perfect town home in our Lexington Park community! The square footage, open floor plan, attached garage and PRICE were all factors that made choosing Lexington Homes an easy decision. 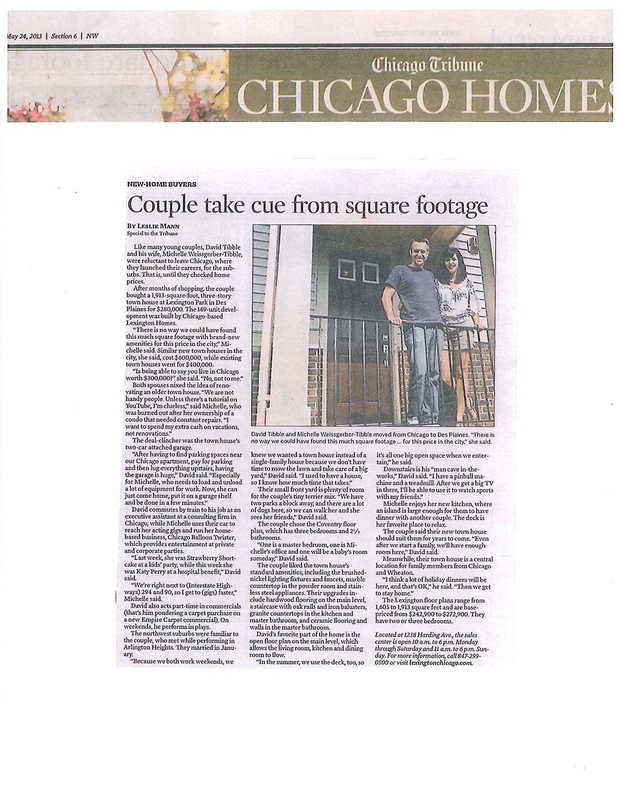 Special thanks to the Chicago Tribune for featuring this story! Click here to read more.